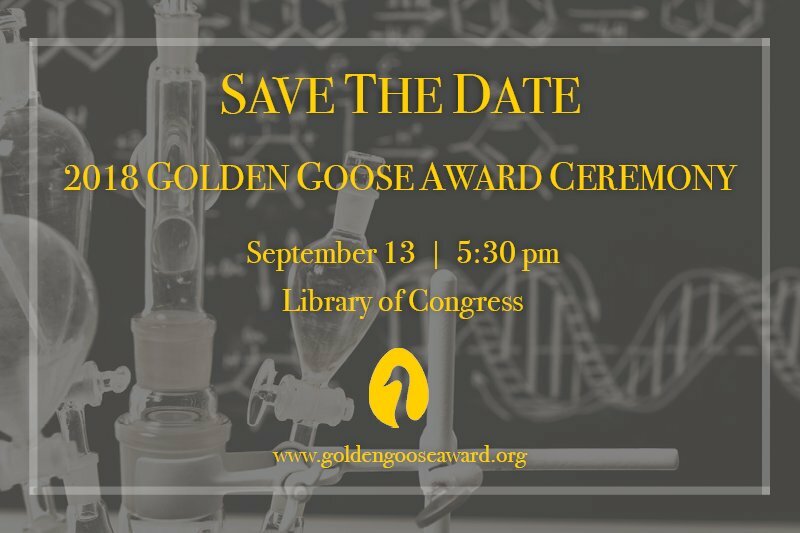 The Golden Goose award is happening again for its 7th time to award the work of researchers who whose seemingly obscure, federally-funded research had led to major breakthroughs in society The golden goose Award will be hosted on September 13, 2018 at 5:30 PM in Washington D.C. The Gooseys—actually the Golden Goose Awards—don’t go to performers, or anyone actively seeking the public eye. Instead, they go to researchers who, while they might like a little acclaim, are doing the kind of counter-intuitive work that’s more likely to get them criticized for wasting the public’s wealth than lauded for enhancing the public weal. The Golden Goose Award Steering Committee is made up of individuals from the Founding Sponsors of the Award, Benefactors of the Award, and universities who helped launch the Award in 2012.